The diverse clinical presentations of obsessive-compulsive disorder (OCD) often lead to confusion when diagnosing patients with OCD-like symptoms. The dimensions of OCD, broadly defined, include forbidden thoughts; obsessions with symmetry and exactness and related ordering and arranging rituals, as well as counting and repeating rituals; contamination obsessions and washing compulsions; hoarding obsessions and compulsions. Trouble with making decisions, procrastination, and checking are other possible variables. Most experts agree that OCD is part of a cluster of disorders, such as tic disorders, trichotillomania, and body dysmorphic disorder. Three recent studies provide important new insights into the underlying brain circuits involved in OCD, and how these correlate with clinical presentations. OCD affects 2 percent of the population and is the number four psychiatric pathology in terms of frequency following phobias, substance abuse disorders, and depression. The people affected are obsessed with cleanliness, order, and symmetry, or are overcome by doubts and irrational fears. In order to reduce their anxiety, they carry out rituals of tidying, washing or verification for several hours a day in the most serious cases. These signs reflect major suffering and a serious handicap that often last for years, and should not be confused with obsessive, perfectionist and meticulous personality traits. One third of patients are resistant to the usual treatment, a combination of cognitive behavior therapy and antidepressants such as serotonin reuptake inhibitors (SSRIs). Hypotheses centering on a dysfunction of the striato-pallido-thalamo-cortical cerebral circuits have in the past encouraged experimental attempts at psychosurgical treatment involving the destruction of certain parts of the incriminated cerebral areas or of their connections in patients with the most serious cases. But the efficacy of these trials, which were never evaluated in a rigorous manner, is unclear because of uncertainty in the choice of the cerebral targets. Furthermore, the lesion is irreversible and thus open to criticism from an ethical standpoint. More recently some neurosurgery teams have tried to reproduce the effect of the lesions using the deep brain stimulation technique. Despite interesting observations, a serious lack of precision concerning the choice of the target was reported. Deep brain stimulation involves implanting two electrodes in the brain and connecting them to a stimulator implanted under the skin. This stimulator acts as a pacemaker, delivering a direct electrical current which modulates the sequences of abnormal signals emitted by the target brain region. The electrodes each contain 4 different contacts spaced two millimeters apart and each contact can be stimulated independently of the others. This technique has been used with success since the end of the 1980′s in the treatment of Parkinson’s disease. In order to propose a reliable therapeutic alternative for the most severe forms of OCD, French researchers from INSERM (Institut national de la santé et de la recherche médicale) chose a different approach focusing on a small area of the brain that is involved in motor disturbances in Parkinson’s Disease (the subthalamic nuclei). Stimulating it led to a substantial reduction in behavior disorders in two Parkinson’s patients. In such patients the insertion of an electrode at the center of the subthalamic nucleus eliminates motor disturbances. But when the site of the stimulation is shifted by a few millimeters, changes in the psychic state and behavior of patients are observed. They may for example become hyperactive, insomniac or irritable. If the contact is changed again, these effects disappear. Previous research by Luc Mallet and his colleagues demonstrated that depending on the precise localization of the electrode, one of the various aspects of behavior, motor, social or affective, could be modified. Deep cerebral stimulation was thus proposed as a therapeutic alternative for people with severe OCD that have not responded to pharmacological and psychological treatments. This technique has the advantage of being reversible. It also allows for precise adjustment of the various stimulation parameters (frequency, voltage, pulse duration) to obtain the best possible result. Sixteen patients, divided among 10 French university hospital centers, were selected for surgical implantation of an electrode in each subthalamic nucleus. Over the course of 10 months, they were monitored by the doctors, psychiatrists and researchers involved in the study. The electronic stimulator connected to the electrodes was activated and then deactivated in a randomized manner: eight patients underwent a period of active stimulation followed by a period of “placebo” stimulation while eight others received “placebo” stimulation followed by real stimulation. “This was a double blind test, i.e. neither the patients nor the doctors knew the periods of stimulation,” Luc Mallet explained. The results were encouraging. After the surgery and at the end of 3 months of active stimulation, 7 of 10 patients showed a response to the treatment and an improvement in their condition with at least a 25 percent reduction in symptoms. Evaluation of the efficacy of the treatment also focused on the capacity of the patient to return to normal family life, to form new social ties, or to go back to work. After 3 months of active stimulation, 60 percent of the patients reached satisfactory overall functioning with only moderate discomfort due to the illness. Only 12% of the patient group reached this level during the sham placebo stimulation. “Among the patients monitored, some experienced a return to a social, affective and professional life that had been abandoned for years because of the illness,” Luc Mallet said. Deep brain stimulation was also trialed with a small group of Tourettes syndrome patients. Tourette syndrome is the resultant of a joint dysfunction of the limbic territories and the basal ganglia. This disease is characterized by motor and vocal tics. In patients with the most severe forms, medication has no effect. Three people benefited from the deep brain stimulation technique. The electrodes were implanted in the limbic zones of 2 deep structures, a nucleus of the thalamus and the internal globus pallidus, in order to compare their respective efficacy in a double-blind protocol. The best results were obtained by stimulating the anterior part of the internal globus pallidus, with improvement in symptoms on the order of 70 percent. Prolonged monitoring of patients ( of 6 years for the first patient to undergo the procedure) shows that the effects are maintained over time, allowing them to resume working and to have a normal social life. A multi-center trial is now in progress on a larger number of patients. The researcher team will try to determine if this treatment can become a therapeutic option that is usable outside of a research setting. This research demonstrates the considerable therapeutic potential of deep brain stimulation. When applied with precision, it allows for fine regulation of neuronal systems, the dysfunctions of which lead to pathological repetitive behaviors in humans. While the INSERM researchers have shown that deep brain stimulation is effective in treating the most severe forms of obsessive compulsive disorder they caution that it is still an invasive technique with all the risks inherent in any neurosurgery. They also advise that the results require further evaluation and refinement of the stimulation parameters. Cognitive behavioral therapy (CBT) comprises many different therapies-behavior therapy, cognitive therapy, dialectical behavior therapy, and rational emotive therapy-that generally share the same philosophy and foundational principles. “One of the most basic assumptions these therapies share is that emotional reactions come from our interpretations of events, not from the events themselves,” says Dr Andrea Allen. “An ordinary event can seem like a catastrophe to a person with obsessive-compulsive disorder (OCD) because of how they’re interpreting it. SANTA ANA PUEBLO, NM — March 15, 2009 — Treatment gains achieved during intensive residential treatment of patients with obsessive-compulsive disorder (OCD) are maintained 6 months after the patient is discharged, according to trial results presented here at the Anxiety Disorders Association of America (ADAA) 29th Annual Conference. Copyright (c) 1995-2009 Doctor’s Guide Publishing Limited. All rights reserved. Parents of children with OCD or symptoms of OCD want to help their kids get the best and most effective treatments. There are many options with many different names. For example in the treatment of OCD, we hear about CBT, BT, EXRP, ERP, E & RP. Professionals love initials! So how does a parent without a doctorate degree in psychology make an informed decision about what treatment to seek? There is a large body of scientific literature that discusses evidence based psychotherapies for children. Despite the various names, settings, and formats, treatments that work often have common theoretical bases. In other words, whether the treatment is called CBT (cognitive behavioral therapy), BT (behavioral therapy), or one of the many initial permutations of Exposure and Response Prevention (EXRP, ERP, or E & RP), all of these treatments use elements of learning theory as a core foundation. The most widely studied and frequently used technique for treating OCD is exposure and response prevention. Positive reinforcement: When a child behaves and the parents give positive reinforcement the behavior will increase. For example, although most parents generally wouldn’t do this, if a child with OCD washes her hands for long periods of time and her parent tells her what a good job she is doing, this behavior is likely to increase. That’s because for most children, praise is a positive reinforcement. Other positive reinforcements can include hugs, treats, or special time together. Negative reinforcement: Negative reinforcement occurs whenever an action results in the cessation of an unpleasant, aversive event (stimulus). So when a child throws a temper tantrum (an unpleasant event) and the parent caves in, the parent has just been negatively reinforced for giving in. This fact makes it hard for parents to resist caving in (because they get reinforced, although negatively, for doing so). Response cost: This is a principle that decreases behavior. Response cost involves taking something pleasurable or valuable away once a behavior has occurred. This might include losing cell phone or computer privileges for an older child or a toy for a younger child. Time out is considered a response cost as is getting a fine for driving too fast. Extinction: When a behavior occurs and nothing happens at all, the behavior will decrease. This principle is the key to exposure and response prevention–the primary treatment for OCD. When a child with OCD is asked to expose himself to his OCD triggers and not do what he feels compelled to do (the compulsion), his level of distress will likely go up for a little while. But when nothing good or bad happens, this level of distress will eventually go down. Therapists are likely to conduct exposure and response prevention with your child and may suggest that you carry out practice ERP sessions at home as well. Modeling: Children learn by watching others. The most influential models for behavior are the people that children live with, usually the parents. If you don’t want your child to learn to be aggressive, then don’t act aggressively in front of him. If you don’t want your child to pick up habits such as excessive worry, try to not model excessive worry. In some cases parents may need to get therapy for their own issues to minimize modeling effects on their kids. Again, OCD is a complex disorder with multiple causes including biology, genes, learning, and the environment. Regardless of its origins, therapists can teach parents how to augment the therapy process with the principles above. Obsessive-compulsive disorder (OCD) usually begins in adolescence or young adulthood and is seen in as many as one in 200 children and adolescents. OCD is characterized by recurrent obsessions and/or compulsions that are intense enough to cause severe discomfort. Obsessions are recurrent and persistent thoughts, impulses or images that are unwanted and cause marked anxiety or distress. Frequently, they are unrealistic or irrational. They are not simply excessive worries about real-life problems or preoccupations. Compulsions are repetitive behaviors or rituals (like hand washing, hoarding, keeping things in order, checking something over and over) or mental acts (like counting, repeating words silently, avoiding). In OCD, the obsessions or compulsions cause significant anxiety or distress, or they interfere with the child’s normal routine, academic functioning, social activities or relationships. Research shows that OCD is a brain disorder and tends to run in families, although this doesn’t mean the child will definitely develop symptoms. Recent studies have also shown that OCD may develop or worsen after a strep infection. A child may also develop OCD with no previous family history. Children and adolescents often feel shame and embarrassment about their OCD. Many fear it means they’re crazy. Good communication between parents and children can increase understanding of the problem and help the parents appropriately support their child. 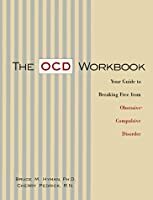 Most children with OCD can be treated effectively with a combination of psychotherapy (especially cognitive and behavioral techniques) and certain medications for example, serotonin reuptake inhibitors (SRIs). Family support and education are also central to the success of treatment. Antibiotic therapy may be useful in cases where OCD is linked to streptococcal infection. Real estate agents are fond of saying that their field can be distilled into three words: location, location, location. When it comes to anxiety and obsessive compulsive disorder (OCD), we turn to three words to capture much of the problem as well: avoidance, avoidance, avoidance. People with all types of anxiety disorders generally feel driven to do everything they can to stay away from events and thoughts that tend to trigger their anxiety. In doing so, they hope to keep their anxiety and distress at bay. And this approach works. So what’s the problem? Although avoiding what disturbs you provides relief, that relief is fleeting. And that short moment of relief ends up making you feel even more desire to avoid feeling anxious the next time. An example may help. Ralph is a twenty four year old computer technician. He’s had contamination OCD since he was a teenager. His OCD started with worries about becoming ill from touching doorknobs. So he developed strategies for avoiding such germs; he would wear gloves, spray knobs with disinfectant, or use his shirttail to open doors. Each time he used one of these avoidance techniques he experienced brief relief. But then he started to worry about contamination from faucets, toilets, and steering wheels on cars. He used similar strategies for these new worries and felt momentary relief each time he succeeded in avoiding contact with his fears. But as the years went by, his relief experiences encouraged him to look for more sources of conceivable contaminations to avoid. His life became unglued when his concerns turned to computer keyboards, mice, and touch screens. Without treatment, Ralph’s future looks worrisome as he becomes more and more avoidant. That’s what avoidance does to you. It makes your world smaller and fosters your fears. The more you avoid, the worse things get. That’s why successful treatment for OCD (and other anxiety disorders) rests largely on the antithesis of avoidance–exposure and response prevention (ERP). ERP gradually guides people to come into direct contact with the things that disturb them or arouse their anxiety. At first exposure escalates feelings of distress. But with continued work, that anxiety decreases. Your world gets larger. We’ll explain more about the “response prevention” part in a subsequent blog soon. However, if you have serious OCD or anxiety, don’t try ERP on your own. Get the guidance of an experienced mental health professional that can show you exactly how to proceed. The great news is that ERP can be extremely effective. In future blogs we’ll tell you about some other ideas for working on anxiety and OCD, but exposure techniques typically make up the foundation of most approaches. Research has established that a combination of medication and cognitive-behavioral therapy is the optimal treatment for OCD. Bruce Hyman and Cherry Pedrick have created an intensive, self- directed program that teaches a person with OCD how to block or postpone rituals, reduce fears, and change unhealthy thought patterns. Included are self-assessments, ways to enlist the help of family and friends, and approaches to overcoming specific disorders.